We hope you all had a productive summer and a good harvest from your plots. Reports from across the city suggest it was generally a good growing year! Bi-annually we hold meetings which all plot holders are invited to attend. The meeting is also attended by Site Reps, the BHAF Committee and The Councils Allotment Officer. The guest speaker at this forum meeting will be Rich Howarth, Brighton and Lewes Downs Biosphere Programme manager. 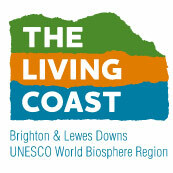 Brighton and Lewes Downs is the first new UNESCO world Biosphere site in the UK for 40 years. Rich Howarth has been the Biosphere Programme Manager since 2011. He will be talking about the Brighton and Lewes Downs Bio-sphere and the important role that Allotments play in improving our environment and the overall benefit they bring to the biosphere. This promises to be an interesting talk for ecologically minded allotmenteers.